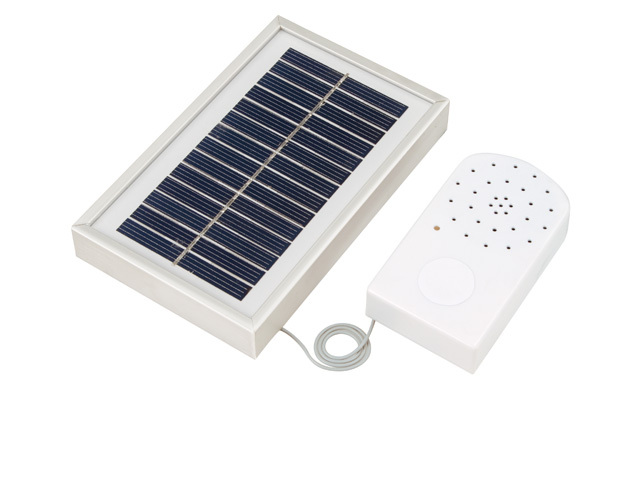 Solar cell supplied backup re-chargeable power , PIR sensor / light sensor activate sound & light . Power supply : 3.6V re-chargeable battery . Solar cell supplied backup re-chargeable power , environment , earth-friendly . Lower power consumption & standby current . Light sensor / PIR sensor activate sound / light . suitable for outside area ...... home garden / home guard / ... ... Sound music can be customized.